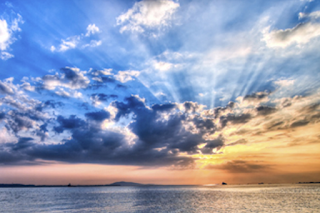 The Christian Message: The True God -- Both "Creator" and "Triune"
Much could be stated to describe the person and work of the Holy Spirit -- the third person of the Trinity [Triune God] The Nicene Creed spells out what Scripture tells, -- that He is co-equal with the Father and the Son. He is true God, along with the other 2 persons of the God-head. 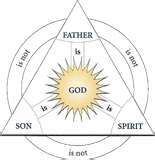 Pictoral iIlustrations of the Triune God -- or, what is commonly referred to, as "The 'Trinity:'"
Also Note: That the 3 persons of the Trinity are distinct from one another.